There are a lot of scary things about getting older, but the scariest and the weirdest is the change in perception of time. I’ve encountered this idea twice, once in Stephen King’s short story “My Pretty Pony”, and another in the movie “Blue Thunder”. At the time, in late 80s I thought that time “flies” only when you are enjoying something, and “creeps” when you don’t. Saturdays go by faster than Mondays. Turns out, as you get older time picks up pace, everything becomes a blur, good or bad. 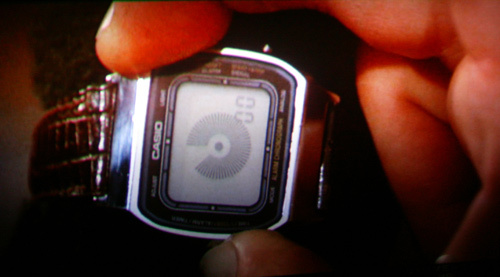 Watch buffs know this watch as Casio AA-85 and the analog feature as Module 101. I always wanted one of these, and now I finally picked one up on eBay for a song. I know I need it – it seems to me that I am really losing the proper perception of time, it really sped up for me. I don’t know about you, but time is definitely speeding much more now than when I was younger. It’s pretty scary.